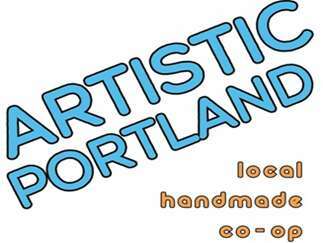 Now that winter has finally arrived in Portland it may be nice to defrost and thaw out at Artistic Portland, a downtown co-operative art gallery of 40+ local artists. Many will find defrosting fun at Art After Dark from 6:30 to 9:00 pm, on March 7, 2019. Creatives at the gallery will be in attendance talking to guests about art and process. All are invited to mingle with the artists, graze the buffet, get a drink at the bar, consult the tarot reader and enjoy the art while being serenaded by the warm sounds of the Sweet Peas. “Art After Dark” will follow an afternoon of free bowl painting from 2:00 to 6:00 pm in the gallery featuring pianist John Gilmore, and refreshments will be served, starting at 4:00 pm. Everyone is welcome as space allows. 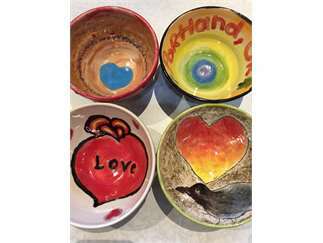 Once painted and fired, the bowls may be purchased for $10 or donated and sold in the gallery to benefit Sisters of the Road Cafe, which serves restaurant meals to those in need. 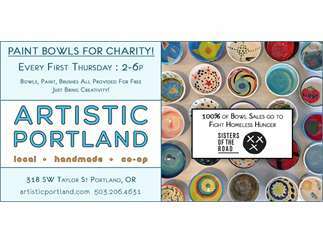 Artistic Portland has raised nearly $5,000 over two years for the café through its community bowl project. The Co-operative feels humbled that such a simple art project can add up over time and make a difference for neighbors in Portland. There is free street parking after 7:00 pm, and $5 parking after 5:00 pm in the SmartPark garage at SW Fourth and Yamhill. 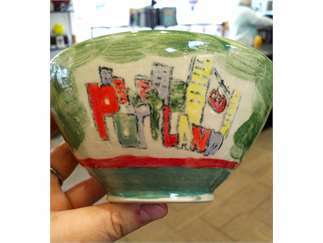 Artistic Portland is open every day: 10:00 am to 6:00 pm Monday through Saturday, 12:00 to 5:00 pm on Sunday, and through 9:00 pm on First Thursday. The gallery is located at 318 SW Taylor Street, close to restaurants, and a block from Pioneer Place Mall, and the Apple and Microsoft stores.